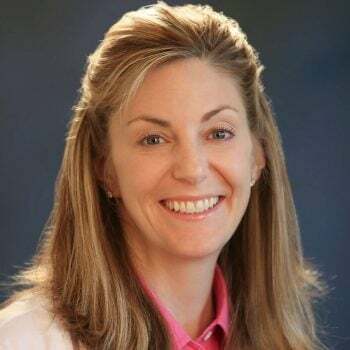 Gwen is a Certified Physician Assistant who specializes in acne treatment, psoriasis treatment, including biologics and phototherapy, wart treatment and skin cancer detection. Definetely a good experience. I have been to Gwen Gettelman before and she is very professional, easy to talk to , and very knowledgeable. I would recommend this office to anyone looking for a derm. The staff is also very nice. I LOVE going to Gwen Gettelman, she is so nice and super easy to get along with, the entire staff there makes you feel so comfortable, I wouldn't go anywhere else! Gwen provides caring, compassionate care to her patients-always takes time to listen to concerns and considers all the options before coming up with a treatment plan. I would highly recommend Gwen if you are looking for a dermatologist. Gwen was very attentive and found several issues I wasn't aware of when I went in so that was outstanding. Great experience with her and the office staff. Physician Assistant Gwen Gettelman is a friendly and focused listener to my family's concerns! She has been patient and understanding...always bringing her best to each appointment. Thank you! Gwen Gettleman is knowledgeable and highly skilled. She is always willing to answer questions during your office visit and later, too. Gwen and the staff at Forefront are by far the best group I have ever worked with. They answered all my questions and helped me decide what route I should go. I will continue to see them in the future. EXCELLENT CARE. Always a great experience. Dr.B and Gwen are very knowledgeable and good at what they do! Grichko VP, Gettelman GJ, Widrick JJ, Fitts RH, Fanton JW, Kozlovskaya I, Edgerton VR, Hodgson JA, Wichayanuparp S, Recktenwald MR, Roy RR. Circadian Force and EMG Activity in Hindlimb Muscles of Rhesus Monkeys. 2010.